Someone is out to destroy America's space program. Thus far they have sabotaged the last three missions, causing death and great embarrassment. 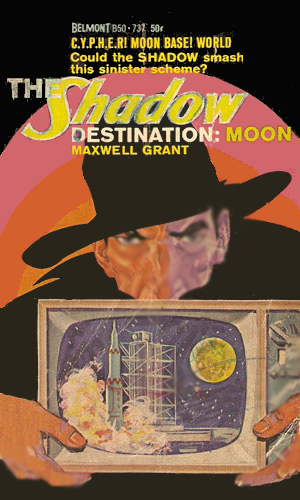 As the fourth attempt to send a rocket to the moon gets ready, the Shadow is on hand to find out who is behind the mayhem, the Russians, the Chinese, or C.Y.P.H.E.R. ?